Bertram Goodhue « great space why? 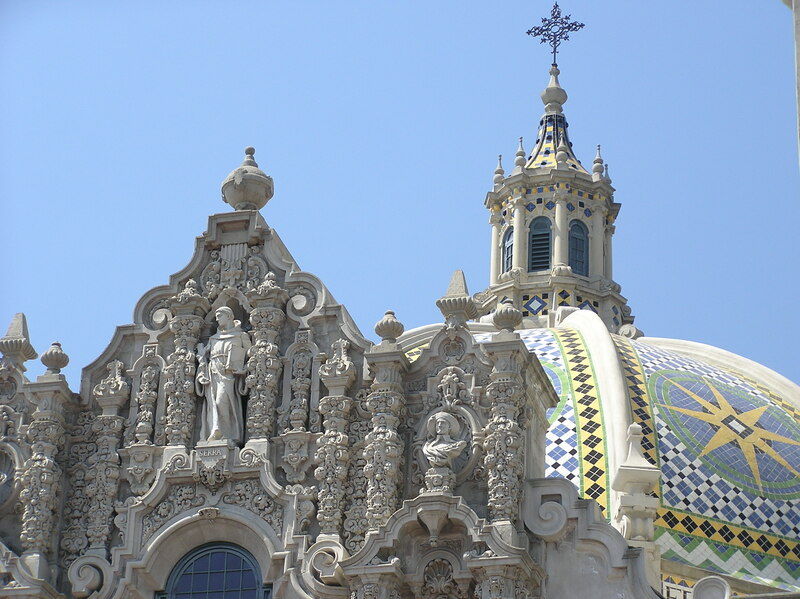 San Diego’s Balboa Park is celebrating its centennial this year. In 1915 the Panama California Exposition was built to attract interest to this small port, the first US stop for ships traveling through the newly constructed Panama Canal. 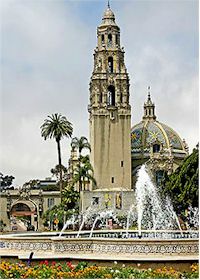 San Diego’s commerce and produce were exhibited in buildings, which glorified San Diego as the “Spanish City on the Hill.” The fair’s lead architect was Bertram Goodhue, who imagined romantic classical Spanish architecture set in plazas and arcaded gardens. San Diego’s climate was ideal for this and ironically, perfect for preserving these temporary buildings enough to be used for an extended year of the fair and again for the 1935 California Pacific International Exposition. Today many of these Spanish Colonial Revival structures are preserved and used. Just like one hundred years ago their style is appreciated and fitting for their context. What does it mean to revive a style? Does it mean that architects copy each other? Or that a current or more modern style is not appropriate? The genius of designing with a revival style is combining modern planning, technology and materials with a proven aesthetic. And it is all in the details. Goodhue had been to Cuba, Europe and Mexico and studied and sketched beautiful Spanish Colonial churches. 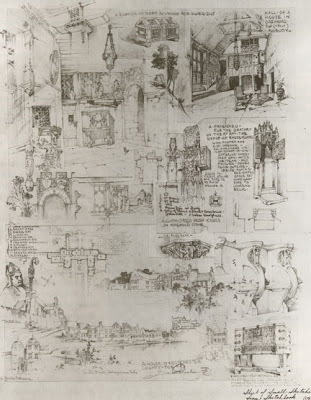 (Goodhue was a prolific, beautiful sketch artist). 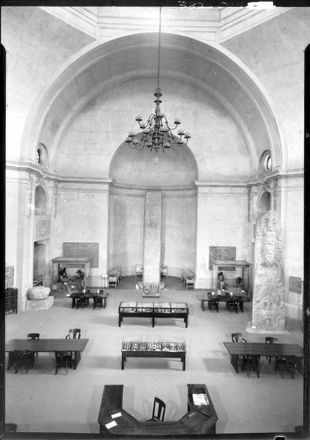 The California Building, now the Museum of Man depicts the massing of a Spanish Colonial church with bell tower, decorated front façade and domed main space; however, it is not an exact replica of any existing church. The massing, proportions and asymmetry fi t the style; but, the building was not a church, but rather an exposition space; was not a bell tower (which never held bells), but rather a beacon at the fair’s entrance. Besides manipulating the plan to fit the function, Goodhue crafted beautiful details to enhance the building and gave it a unique and modern feel. The Spanish Colonial Style employs ornate relief carvings around doors and windows. Around the main entrance Goodhue designed reliefs showing the bounty of California fruit and vegetable harvests and statues of local important figures, Cabrillo and Serra. These plaster molds are unique and appropriate for the building, yet reminiscent of the carvings of saints and flora on churches. The style is thus pleasing, yet modern. As a knowledgeable architect, he achieved this balance. Great spaces use these historical reverences with new creativity. So a revival is not a mimicking of style or a splashing of elements on to a façade willy-nilly, but rather is a thoughtful and professional management of architecture.